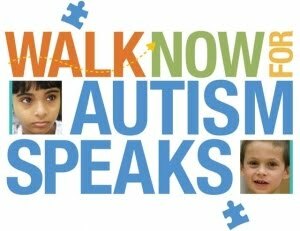 Utah Autism Coalition: Join UAC in the Walk for Autism! We are very excited to once again be joining the Utah Walk Now for Autism Speaks event! While there is no definitive date set for the walk, we know it will be sometime in September/October. With the walk just five months away, now is the time to begin inviting people to join the team and begin fundraising. This year, we're shooting for 50 walkers with a fundraising goal of $2,000. Now more than ever, awareness and advocacy are needed for those with ASD. Research and resources are vital and joining this event is one of the best ways we can help! Come join us, invite your family and friends, start fundraising, and together we can help make a difference for those with autism! There are over 67 million people diagnosed with an autism spectrum disorder worldwide. 1 in 88 children are born with an autism spectrum disorder in the US. 1 in 47 children are born with autism in Utah, which is nearly 1,200 children a year. Only 68% of children in Utah with autism actually receive a diagnosis by age 8. Every 11 minutes, another child is born with autism nationwide. Big changes start with small steps, and those small steps start with you!